DBI-1561640 — CSBR: Ownership Transfer: Securing the future and accessibility of the Carl W. and Marian E. Rettenmeyer army ant guest collection. $499,850 awarded in 2016 to Drs. J.N. Caira, J. O’Donnell & B. Goffinet. Team members: Dr. Geert Goemans (Entomologist and Curatorial Postdoc) and Elizabeth Barbeau (Program Assistant and Database Manager). Follow links for more info. 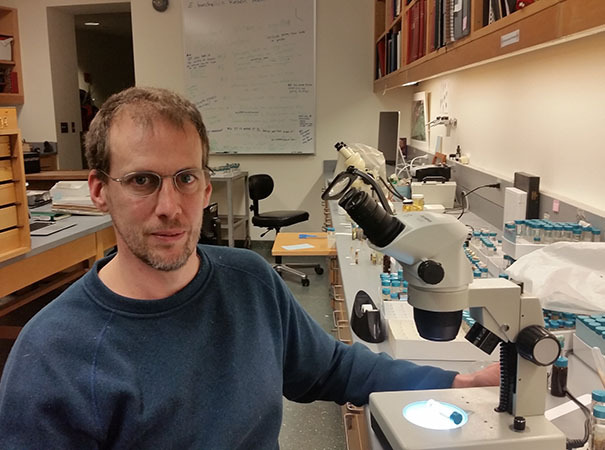 The motivation for this project comes from the recent donation of the Carl W. and Marian E. Rettenmeyer Army Ant Guest Collection (AAGC) to UConn and its transfer to the Department of Ecology & Evolutionary Biology’s state-of-the-art Biodiversity Research Collection Facility (BRCF). This amazing collection is the result of over 50 years of fieldwork by the Rettenmeyers in Central and South America. The AAGC comprises ∼2 million specimens of New World army ants, representing 114 species, and 1,200 colonies, as well as ∼100,000 specimens of a spectacular diversity of their myrmecophile guests. The guests include hundreds of species of mites, beetles, flies, wasps, springtails, and bristletails. The AAGC also contains ∼1,000 type specimens of 200 species. There are ∼16,000 pinned specimens and ∼5,000 microscope slides, but the majority of specimens are preserved in ∼15,000 vials and 200 jars. The collection is complemented by extensive and detailed field data and 5,000 Kodachrome slides. The urgency of this request stems from the collection being currently unusable and in urgent need of stabilization—fluid levels are low, stoppers are deteriorating, containers are non archival, specimens are overcrowded, some slides need sealing, and specimens are not organized for easy retrieval. The opportunity to benefit from Marian Rettenmeyer’s knowledge is vanishing. With the assistance of an experienced team of UConn programmers, the AAGC would, through this project, realize its full potential as a valuable on-line resource for the study of complex host/symbiont systems. Perhaps most importantly, this project will ensure a secure future for the AAGC. The collection is significant from several standpoints. Many specimens are authoritatively identified and serve as a taxonomic resource for host and guest identification confirmation. Many others are unidentified and likely represent novel taxa. Furthermore, extensive holdings preserved in ethanol or on pins are valuable sources of DNA. The AAGC includes empirical compilations of natural history data for multiple replicates of complex symbiotic systems. 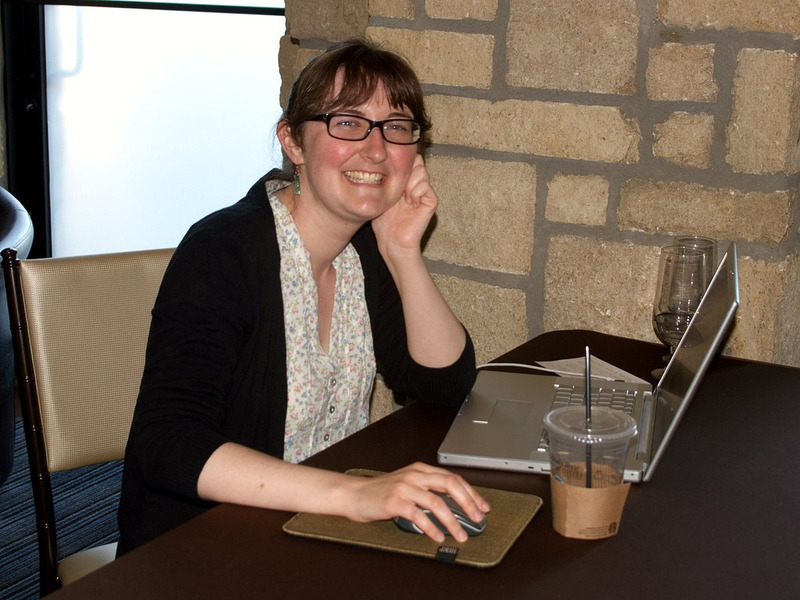 The project’s two primary goals are curating specimens and establishing an on-line presence. Specimen curation will consist of stabilization (replacing fluid, re-vialing, ringing coverslips, etc. ), labeling, reorganization, attaching barcodes, and mounting exemplars of army ant colonies. With the assistance of UConn’s Information Technology Services, we will modify an existing MySQL host/parasite database (DB) to accommodate the AAGC in four related Tables (Colony, Specimen, Field Card, and Kodachrome Slide). Imaging will focus on type specimens, colony exemplars, field cards, and Kodachrome slides, which will be linked to appropriate DB records. We anticipate georeferencing the limited number of localities in the AAGC with minimum uncertainty using Google Earth. The DB will be fully iDigBio compatible; we will use GBIF’s Integrated Publishing Toolkit and its built-in RSS feed generator to export data to iDigBio as updates occur. The on-line DB and its integration with iDigBio will facilitate access to this unique resource by the broader scientific community (expert taxonomists, ecologists and evolutionary biologists). A two-part exhibit, developed in collaboration with the Connecticut State Museum of Natural History (CSMNH), will engage visitors in the wonders of the collection through specimen-based interactive activities. The CSMNH will house an exhibit highlighting the Rettenmeyers’ collecting activities and describing the genesis of their collection. Across campus, in the lobby of the BRCF building, a giant ant model, complete with guest mites to-scale, will lure visitors and students to an exhibit case detailing the significance of, and diversity in, the AAGC. Large ants installed on the outside of both buildings will foster intrigue about the collection. We plan to assemble “Kodacrews” of high school students to work with a graduate student to hone their writing and observation skills. These students will populate the Kodachrome Slide Table with data from slide labels and observations on image content. I participate in all aspects of the project, including training and supervising students; transferring, labeling, sorting and identifying specimens; interpreting, verifying and entering data; and establishing work-flows. I contribute to outreach activities stemming from the project’s AntU initiative, oversee the project’s social media elements, and assist with exhibit development. As the Program Assistant and Database Manager for the AAGC my primary role is to coordinate the development and population of our homegrown collection database, which will ultimately host all of the Rettenmeyers’ army ant and guest specimens as well as supplemental visual and archival material. I make and implement decisions on digitization strategies, data migration, and metadata extraction in order to create original catalog records for all collection objects, facilitating information retrieval and intellectual access to special collections material online. This process involves compiling and standardizing data according to Darwin Core specifications (for future sharing to iDigBio), scanning physical objects, and entering data into the database. 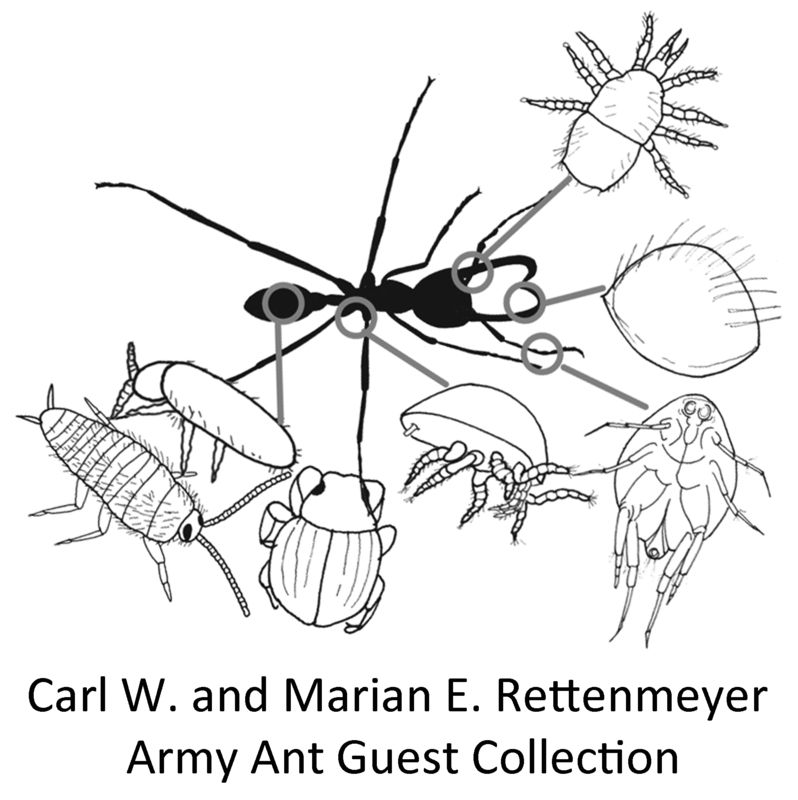 I also support the outreach aspects of the AntU initiative through the UConn Army Ant Guest Collection Facebook page, in addition to participating in our many interdisciplinary projects with students and faculty across campus.